Glasgow Ceramics Studio was established in 1995 by six graduates of Glasgow school of art. It was primarily set up as a workshop providing ceramics making facilities and studio spaces for professionally trained ceramic artists. Over the last twenty-one years it has grown in size from an original membership of six artists to its current membership of twenty-one. The original premises were in Dalhousie Lane near the Art School. In 1998 the studio relocated to WASPS artists studios in Hanson Street. 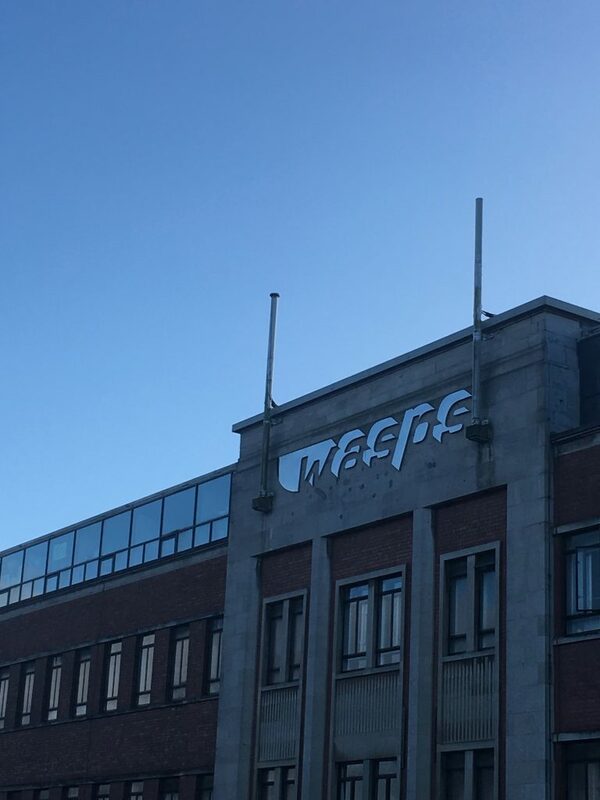 In 2001 the current building (the old Wills cigarette factory) was bought by Wasps and specifically redesigned and redeveloped as artist’s studios. At this time the specifications for the development of Glasgow Ceramics studio were incorporated into the architects plans for the development of the property. The current layout of the studio was designed at this time by one of its founders Ian Ramsey. While the premises was being redeveloped Glasgow Ceramics studio moved to Glasgow’s old fish market at the Briggait in Merchant city area of the city and in 2002 moved into its current permanent home at Hanson Street. The studio membership then grew in size, providing electric and gas firing facilities as well as comprehensive evening classes. The resources of GCS have also developed during this time and it is now recognised as the most well equipped ceramic community studio in Scotland. It currently offers a purposely-renovated group studio, providing each of its members with a generous private workspace, as well as two individual private studios within the same building. Its facilities include a specific kiln room with a large trolley gas kiln, a small gas kiln and seven electric kilns of various capacities. 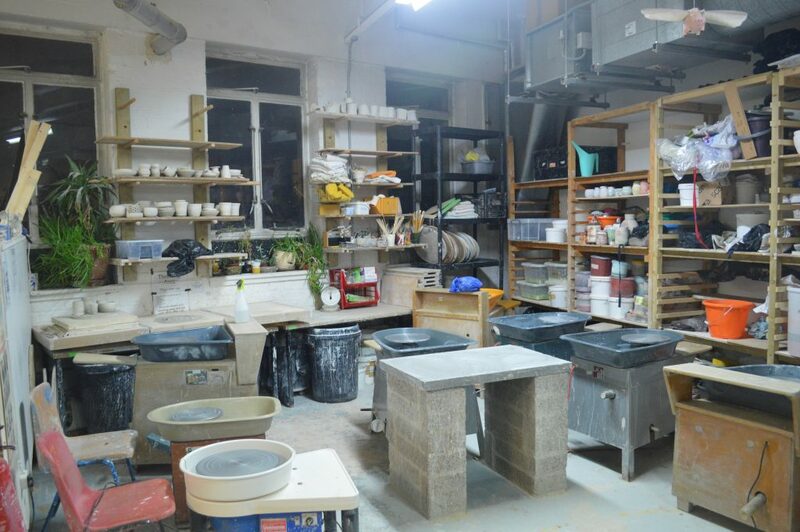 Membership to the studio includes access to raku facilities, a glaze laboratory, a drying room, spray booth, plaster-work facilities, general non-ceramic fabricating facilities, a separate storage room, nine electric pottery wheels as well as a large communal work area and a small gallery space. Glasgow Ceramic Studio also provides regular classes which are open to the public and community groups as well as facilitating outreach workshops. It also runs occasional specialised masterclasses in ceramics and offers firing facilities to artists as well as consultation services. Six years ago, Glasgow Ceramic Studio incorporated a residency space into its premises and since then, has been offering a free residency with mentorship for an annual period of six months to new graduates. This initiative was developed to compensate for the new deficit of Scottish graduates within the Scottish sector. It aimed to encourage Scottish design graduates to remain in Scotland and attract new ceramics graduates educated outside Scotland to relocate to Scotland. This programme proved effective in its endeavour as four out of the six residences facilitated at the studio resulted in the resident artists becoming members of the studio and setting up their practice as professional ceramic artists in Scotland. Glasgow Ceramics Studio now intends to develop its profile as a progressive professional centre for ceramic arts by instigating a financially sustainable paid graduate internship and international residency, as well as an external membership scheme.